Vacuum Circuit Breakers – Crest Test Systems Pvt. Ltd. 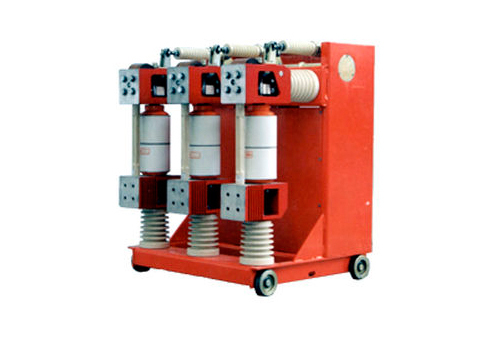 Vacuum circuit breakers (VCBs) are mainly used in the power generation and transmission sectors at substations and in power grids. They are also used in industrial plants and in power distribution systems of railways. These devices switch off an electrical circuit in case of an over current or short circuit condition occurring downstream. If a VCB fails to operate or operates incorrectly under these fault conditions, it can cause severe damage to itself and to the equipment connected to it. This can result in huge revenue losses due to outages on the transmission lines. In many cases, the VCBs may be standing still for a number of years without operating. But, when an abnormal condition occurs, they need to operate within a few milliseconds to isolate the fault and protect the system. VCBs contain a number of moving parts that are working in close coordination. They require periodic inspection and maintenance to ensure that they operate reliably when required. Various tests are performed on the VCB periodically to check that it is functioning properly. Contact timings, contact bounce, non-simultaneity of contacts, contact travel and speed measurements, current and voltage characteristics, static contact resistance (with and without mechanical force), insulation tests, endurance tests, etc. are some of the tests performed on VCBs. Crest manufactures a full range of VCB testing products for OEMs for ensuring the quality of the product before delivery and for end users to ensure optimum performance of their assets.